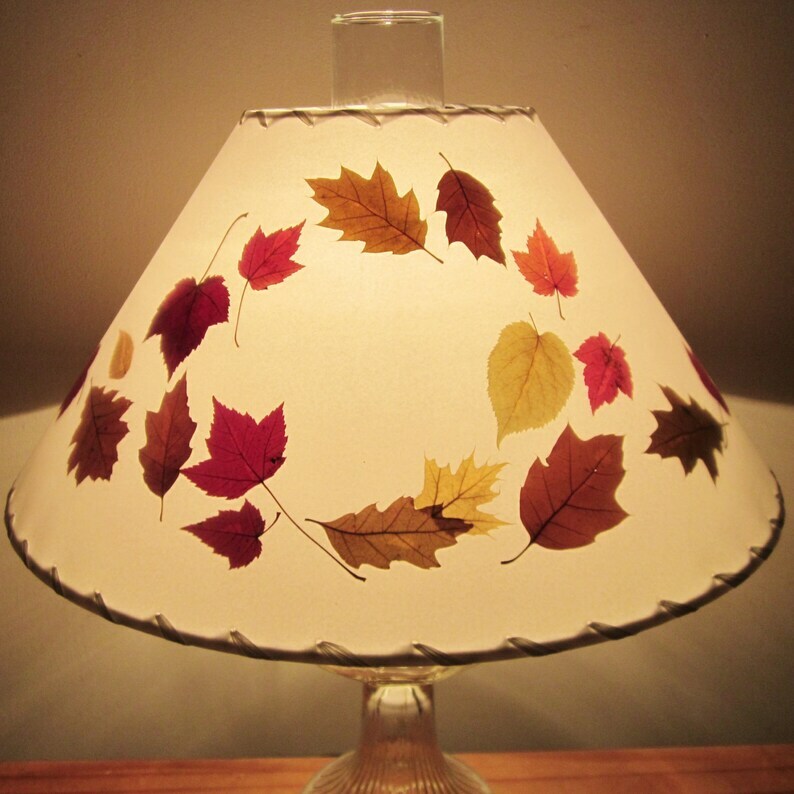 Windswept red maple, sugar maple, oak and beech leaves dance across this lampshade like a chilly fall gust across the fields. Real pressed leaves are layered beneath a protective film so this shade is easily cleaned with a damp cloth and will last for decades. The shade in the photo measures 5" across the top, 14" across the bottom, and 8" tall, but this shade can be made in a range of sizes and with washer top, chimney, bridge, or clip on hardware. It can be made with a white or tan background - please specify in comments if you want white or tan. 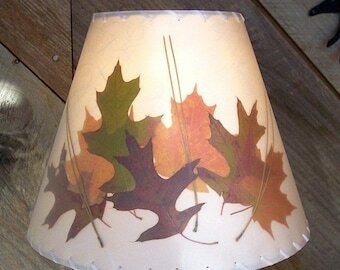 The leaves and proportions will look different on shades made with different measurements. The last photo shows this design on a straighter sided modified drum shade. This shade is shown with an electrified vintage oil lamp - not included. Custom shades can not be returned so please ask questions and be sure this will work for you. 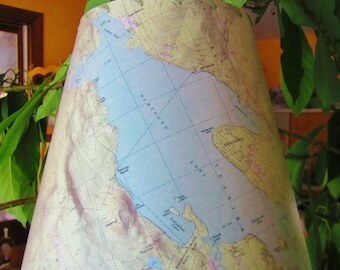 Beautiful lampshade! Very satisfied with my order.